Custom baby girl's One 1st birthday bodysuit, personalize by choosing your color. 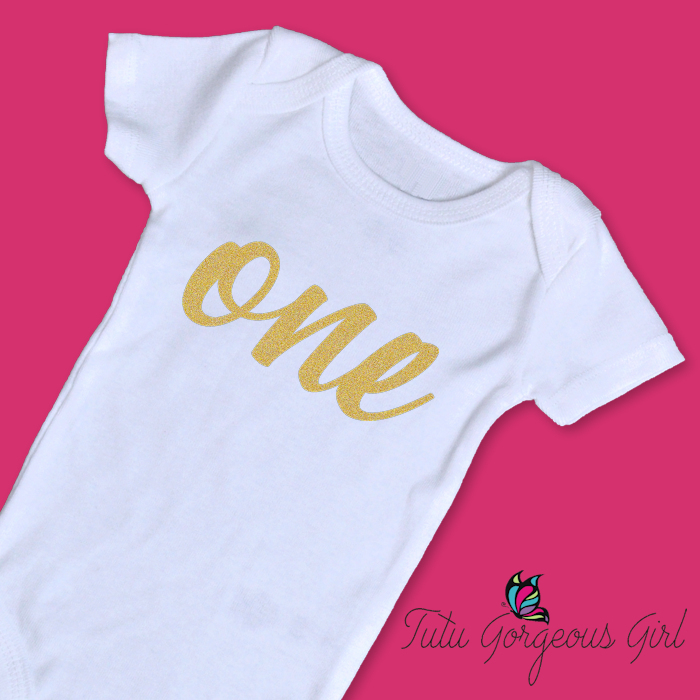 This first birthday onesie features the word ONE in sparkle gold script. Or you may choose a different color from our color chart and leave your color preference in your order notes.